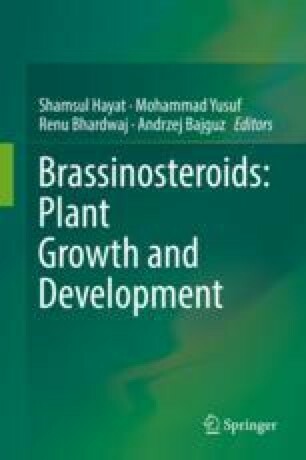 The members of the brassinosteroids family, defined as the 3-oxygenated (20β)-5α-cholestane-22α,23α-diols or their derived compounds isolated from plants, bearing additional alkyl or oxy substituents, are presented. Further, brassinosteroids are grouped into C27, C28, and C29 depending upon the number of carbons in their skeletons. Their structural variations occur due to the substitution in A and B-rings as well in the side chain. They occur in both free and conjugated forms to sugars, fatty and inorganic acids. Their presence in Algae, Bryophyta, Pteridophyta and Angiosperms indicates a ubiquitous distribution in the plant kingdom. The related brassinosteroids precursors, as well as their occurrence, are also presented. Brassinosteroids are considered as the 6th class of plant hormones which have been established after the discovery of brassinolide and other related compounds.